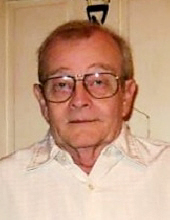 Thomas “Tom” L. Kosh, 73, of 716 Greenville Sheakleyville Rd., Hadley, (Salem Twp. ), PA, formerly of Cleveland, Ohio, passed away unexpectedly at 3:58 pm on Saturday, January 26, 2019 at his residence. He was born in East Cleveland, OH on September 11, 1945 to the late, Louis and Frances (Kwiatkowski) Kosh. Tom served in the United States Army, during Vietnam. He was a member of the PA American Legion Post 0945. Tom enjoyed woodworking and tinkering with projects. He also enjoyed spending time with his grandchildren and family. Tom was preceded in death by his companion of 25 years, Betty Jean Anderson on December 6, 2010. He is survived by: cousin, Judy Johnston, and her husband, Jim, of Cleveland, OH; four daughters, Linda Eikelberry of Hadley, PA, Shawn Marshall, and her husband, Rich, of Grand Junction, CO, Terri Bozzo, and her husband, Dan, of Kinsman, OH, and Stacey Morgan, and her husband, David, of Greenville, PA; nine grandchildren, Nevada Walker, and his wife, Nikki, Roxanne Neal, Alan Reeves, Derrick Keep, Brittany Keep, Luke Morgan, Jacob Morgan, Rachael Morgan, and Madelyn Morgan; and several great grandchildren. In addition to his parents and companion, Tom was preceded in death by his sister, Elaine Kosh. Visitation will be held on Tuesday, January 29, 2019, from 4:00 pm - 5:45 pm at Osborne-Williams Funeral Home & Cremation Services, Inc., 73-75 Columbia Ave., Greenville. A funeral service will be held at the funeral home at 6:00 pm on Tuesday, January 29, 2019. Military honors will be presented by the Greenville VFW Honor Guard. Memorial contributions can be made directly to the family. Messages of sympathy, stories, and photos can be shared at: www.osborne-williams.com. To send flowers or a remembrance gift to the family of Thomas "Tom" L. Kosh, please visit our Tribute Store. "Email Address" would like to share the life celebration of Thomas "Tom" L. Kosh. Click on the "link" to go to share a favorite memory or leave a condolence message for the family.